Without your body you would not be here. Your body is the door. The Medical Intuitive Body Scan is the key to finding the root cause of your blocks, illness, or disease. Body Scan: Can the Body Really Talk? Medical Intuition is an ancient art and science of identifying the source of illness by listening to what your body and energy field have to say. Medical Intuition is an intuitive method of tracking energy in the body in order to source the root cause of symptoms or health concerns the body is expressing. 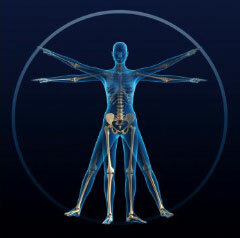 The cells, organs, and systems of our body all carry energy. This energy is expressed in the body through symptoms often causing discomfort, pain, worry, and diseases. Medical Intuition is a way to tune intuitively into the body’s wisdom, giving the body voice to share what is going on. The body can talk revealing the root cause of the health problems. My passion is to help you see the essence of who you are (your spirituality) and then help you shift from what your are stuck in to how you can be. The body and energy field have memories which may contribute to stuck feeling, pain, and uncomfortable physical symptoms. 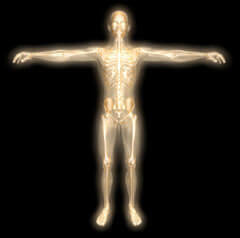 The wisdom of the body and energy field provides insights for healing. It is often surprising what the body shares and how specific the information can be that correlates with a client's symptoms. I love doing this work as each client and their body is so unique. Provides information for those who have blocks, repeat old patterns, or have a chronic illness that interferes with healing. Results in a body report without filters or screens. Gains information leading to the identification of root causes and source of illness. Gives you information to plan your health care. There are two options Terri provides for finding out what your body has to say: Medical Intuitive Mini-Body Scan and Medical Intuitive Body Scan. Click a button near each image on the right to learn more. Please contact Terri by email or call her at 319-631-0824 to talk about your options. Read a fascinating case study from Terri that is a perfect example of finding root cause of symptoms, becoming aware, and clearing/healing health problems. Read the case study by clicking here.